Updates to Raymond R.'s profile since your last visit are highlighted in yellow. had my own handyman business for a few years. sold that to travel with my wife who was a physician assistant. traveled over southwest united states, made lots of friends,loved it! And spouse a water tour! Enlisted USMC-two tours in Vietnam:married -two beautiful daughters. Career as communications tech with NWBell, later with AT&T , NCR corp. / widowed and moved to Salt Lake City Utah. Married again, moved to Florida Keys then to Fort Myers Florida. Widowed again, now my grandchildren and daughters keep me busy. 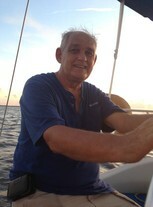 Raymond R. Erwin updated his profile. View. Raymond R. Erwin has a birthday today. Raymond R. Erwin has a birthday today. New comment added. Raymond R. Erwin has left an In Memory comment for David H. Ward. I remember you david. thats a long time but you were always kind to me. rest in peace brother! Raymond R. Erwin changed his "Now" picture.